The region’s current priorities include competitiveness and technical upgrading, Mr. Zhvachkin said. The regional government is working with the Natural Resources Ministry, universities and big business, in particular Gazpromneft, to develop specific proposals for extracting 506 million tons of explored heavy oil reserves. 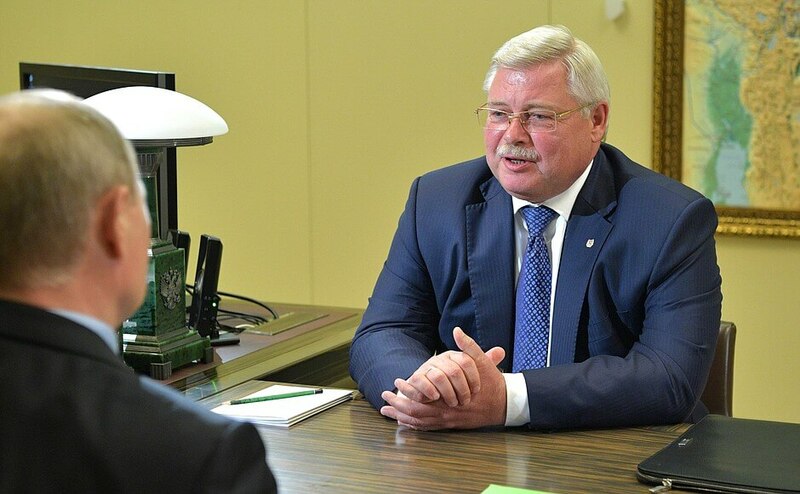 Sergei Zhvachkin set out his proposals for the region’s technological development, in particular, plans to get universities involved in fundamental research and proposals on a number of social projects in the region. One of these involves bringing quality drinking water supplies to 300 settlements. New research has made it possible to develop special, relatively low-cost water treatment installations. Vladimir Putin underscored the need to remain mindful of people’s direct everyday needs, even while carrying out big regional projects. Russian President also drew Mr. Zhvachkin’s attention to a number of complaints that he received from Tomsk Region residents during the Direct Line. They concern matters such as wage arrears, resettlement from dilapidated housing, and other current matters. 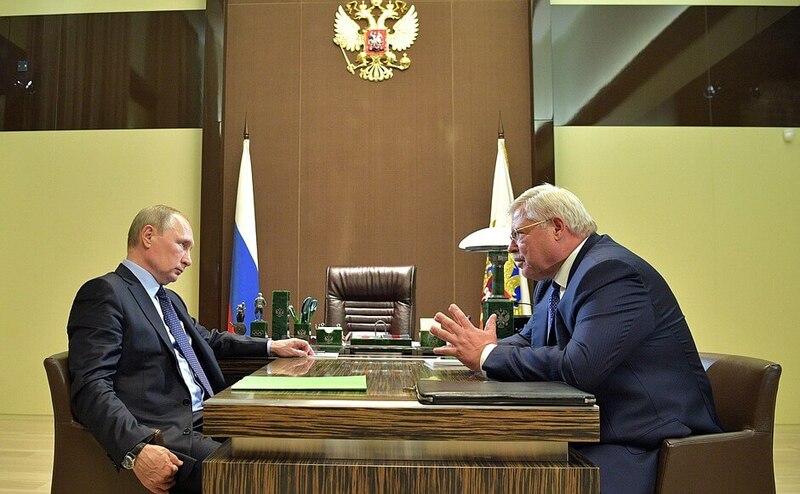 Vladimir Putin with acting Governor of Tomsk Region Sergei Zhvachkin. Mr. Zhvachkin said that he will take part in the gubernatorial election in this autumn, and President Putin wished him good luck and success. Tomsk Region will hold its gubernatorial election on the single voting day on September 10. 0 Comment to "Putin met with Tomsk Region Governor Sergei Zhvachkin"